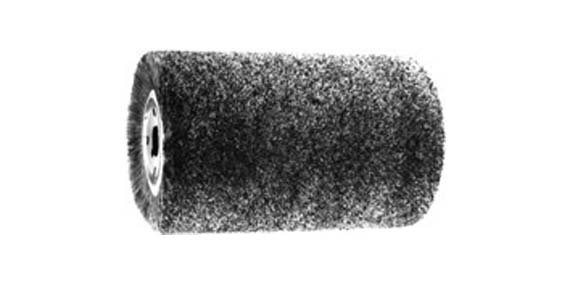 A roller brush is used in commercial and industrial settings to clean parts or equipment. The brush is usually mounted on an axis that is spun mechanically or by hand to scrub the surface of an object. Roller brushes can vary in length and diameter, and they are sometimes referred to as cylinder brushes. Roller Brushes A roller brush is used in commercial and industrial settings to clean parts or equipment. The brush is usually mounted on an axis that is spun mechanically or by hand to scrub the surface of an object. During the production of computer circuit boards, roller brushes are used as part of an automated system that thoroughly cleans that circuit boards before they are packaged so that no dirt interference with their performance. The thorough scrubbing action of a roller brush gets into all the little spaces of a circuit board and removes any dust that may have settled during manufacturing. Sometimes roller brushes are placed in a series on a conveyor belt so that an object passes underneath several of them in a row. The brush can be fitted with abrasive materials for applications where more grit is necessary. 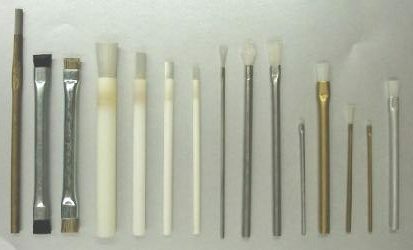 Some brushes have wires all of the way around the roll, while others have short wires that wrap around the roll in a spiral pattern. Roller Brushes – Spiral Brushes, Inc. These can be just a few inches long to several feet long, and the diameter is usually increased with the length. Roller brushes are used in automated car washes to scrub vehicles. The brushes roll along both sides of the vehicle, removing dirt from the surface. These particular roller brushes are very large and they are fitted with very soft brush material so that they do not scratch the paint of a car. The roll of a roller brush is made out of heavy duty plastic or metal that has small holes cut throughout it to house the brush material. A rod runs through the center for mounting purposes and this rod is connected to a motor that turns the brush if the brush is powered by electricity.